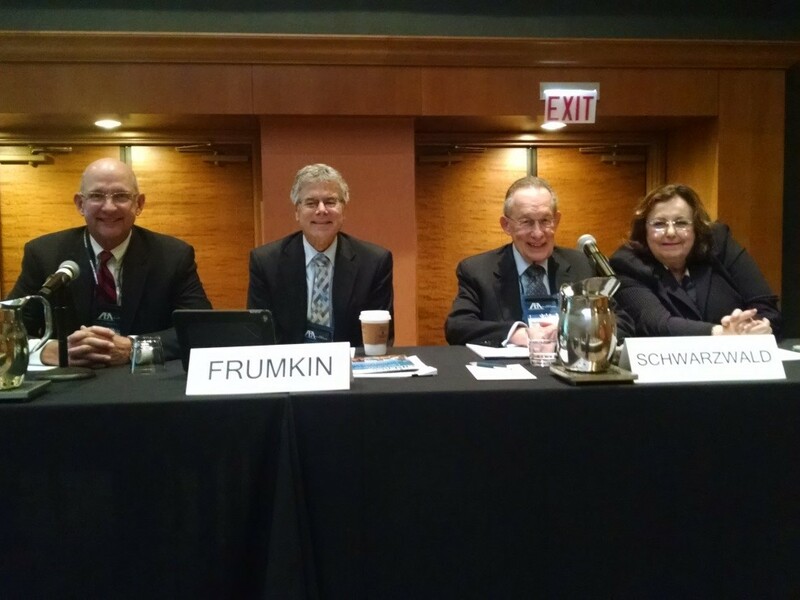 Louisiana JLAP’s Executive Director, Buddy Stockwell, participated in a panel presentation on Ethics at the ABA’s National Conference of the 10th Annual Labor and Employment Law Section. 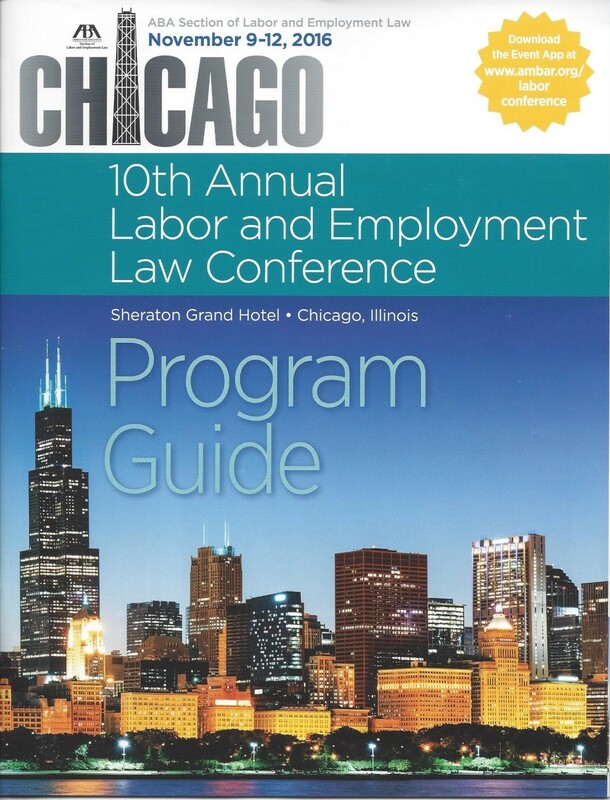 Hundreds of lawyers from across the country attended this conference that provided programing spanning four days. The ethical obligation of diligence requires lawyers to pursue matters “despite opposition, obstruction or personal inconvenience” to the lawyer. Many lawyers strive for more than mere diligence – they shoot for perfection. As many of us know all too well, the quest for perfection can lead to severe anxiety and depression. Some lawyers turn to harmful behaviors such as substance abuse, while others suffer mental illnesses or suffer in silence. Many simply drop out of the profession. This panel will explore practical strategies for lawyers to fulfill their professional obligations while preserving their mental health and deriving satisfaction from the practice of law. The presentation focused on what it takes to maintain healthy boundaries between work and play and how to choose healthy coping strategies for managing stress. Moreover, the panel provided insight as to why mental health issues in the profession have now become more prevalent, why it is becoming ever more important for the profession to reduces stigmas and address these issues head-on, and how bar admissions and the public expect our profession to ensure that our members are managing the stress and pressure of practicing so as to maintain their own mental health and thus remaining fully fit to practice and not burning out. The program was well-attended and well-received. Several members of the audience courageously participated in the discussions and thus the group enjoyed being able to openly discuss some of the everyday mental health issues that come with practicing law, such as stress, anxiety and frustrations that come with being an imperfect human being working in a profession that is intensely perfectionistic by nature. Real solutions were also explored such as better mental health and self-care habits, setting boundaries, managing client expectations, and exploring new solutions for anxiety reduction such as meditation. The audience was also invited to visit www.louisianajlap.com for self-tests and additional information on managing anxiety and burnout. JLAP also provided handouts on developing resiliency and improving one’s ability to manage the stress of practicing law. Louisiana JLAP was very grateful for the opportunity to participate in such a prestigious national conference and greatly appreciates the efforts of the ABA in producing such a fabulous seminar. You get to be 40 and you figure you’ve outrun your past. A father who used booze to drown stresses endured in the Pacific during World War II, who was tough on his five kids and died at age 56, when you were just 19. A mother who spent far too many days on the couch in front of the TV, eating to comfort her own sorrows. Grow up in such circumstances and you learn to push through adversity, maybe go to college, get a good job, start a family.